Lucy Atkins is an award-winning author, book critic and features journalist. 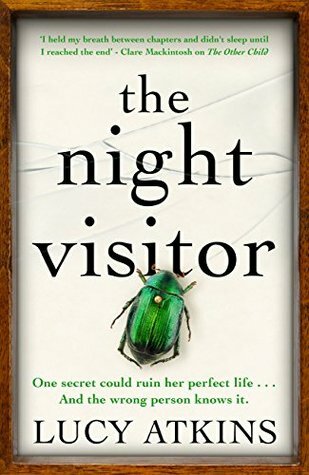 Her new novel, The Night Visitor, is about celebrity, ambition and lies (Quercus 1 May 2017). Lucy is also the author of the novels The Other Child and The Missing One. Lucy lives with her husband and three teenaged children in Oxford, UK and has also lived in Philadelphia, Seattle, and Boston. She reviews books for The Sunday Times, and has written features for newspapers such as The Guardian, The Times, The Telegraph and magazines such as Red, Woman & Home, Psychologies and Grazia. Lucy has also written several non fiction books, including the Amazon #1 parenting bestseller, First-Time Parent (Collins, 2008). Olivia Sweetman has a successful career as a historian and a beautiful husband and three children. But when she sees a flier for the unveiling of the private diary of Anabel Burley, she knows she wants to write a book about Anabel. Vivian Tester is the housekeeper of Anabel’s mansion and agrees to work with Olivia to write the book. Vivian ends up being the one that does all the work finding everything she can about Anabel. Both women have some deep secrets that the publishing of the book is going to bring to light. All mixed in with the confession of the first woman surgeon that confesses to killing her own husband. This was a good read that kept me entertained the entire time. I loved the main story of Anabel, that in itself was wonderful. But that can’t be the only thing happening. Especially when you have a socially awkward woman who basically wrote a book that a younger, more open women is receiving all the praise for. Plus who doesn’t have their own secrets that they want to keep close that could hurt them. This is one book that I recommend checking out. I admit it was not one that I initially would have picked to review but it was a great read.